Every penny of profit raised in the British Heart Foundation shop in Billingham goes towards funding vital, life-saving research into heart disease, and Alex Cunningham was full of praise for the hard work of local volunteers when he visited the shop recently to meet the team. The Stockton North MP met staff and volunteers and spent a few hours in the Billingham shop to learn more about the work that the Foundation is doing in the local community. 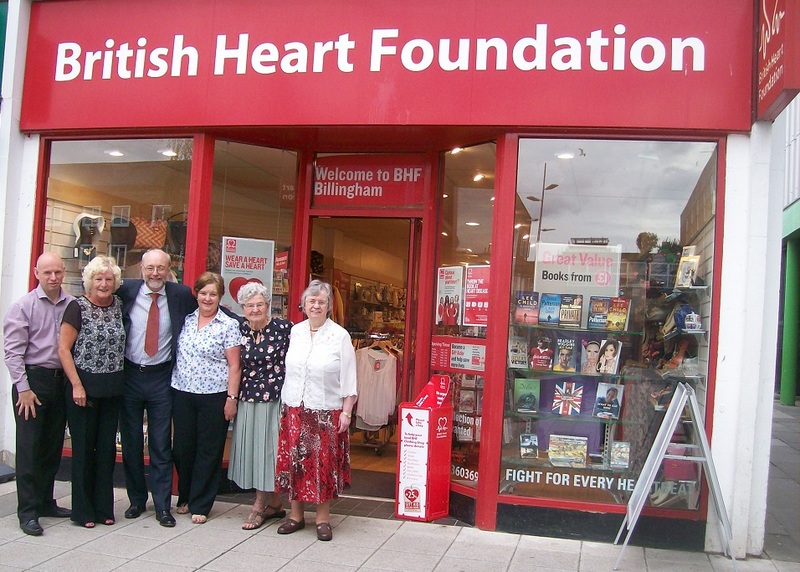 The Billingham BHF shop raises vital funds to help fight heart disease by selling a range of new and donated items, ranging from clothes and shoes through to sofas, washing machines and TVs. All of the profits raised from donations help the BHF in the fight against heart disease and to fund life-saving research. “It was great to pop in and meet the dedicated members of staff and volunteers that work at the Billingham BHF shop. The BHF is such a fantastic cause and the work they do is vital in the fight against heart disease. Martin Newton, Area Manager for Billingham said: “We’re really grateful to Alex for coming in, visiting our shop and meeting the team. We’re always looking for stock donations, which are absolutely essential to the success of the charity, and play a vital part in fighting coronary heart disease – the UK’s single biggest killer.